Celebrate Better Breakfast Month With Your Child! “Breakfast is the most important meal of the day.” It may be said a lot, but it never gets old. In celebration of September’s Better Breakfast Month, Raleigh Child Care Center Primary Beginnings wants to remind you of why breakfast is so important for your child before heading out the door to preschool! By adding a nutritious breakfast, you are starting the day off to a good healthy start. How your kid eats now will impact his/her health throughout their adolescence and adulthood. Teaching them healthy habits when they are young will help prevent major health problems later in life, such as diabetes, obesity, high blood pressure and cardiovascular disease. Nutrition in children is so important for not only health, but for developmental growth as well. Studies show that preschool aged and K-12 kids have more concentration, don’t tire as easily, are more alert, and aren’t as irritable when they start their day by eating breakfast. There are also links to better attendance and higher grades! 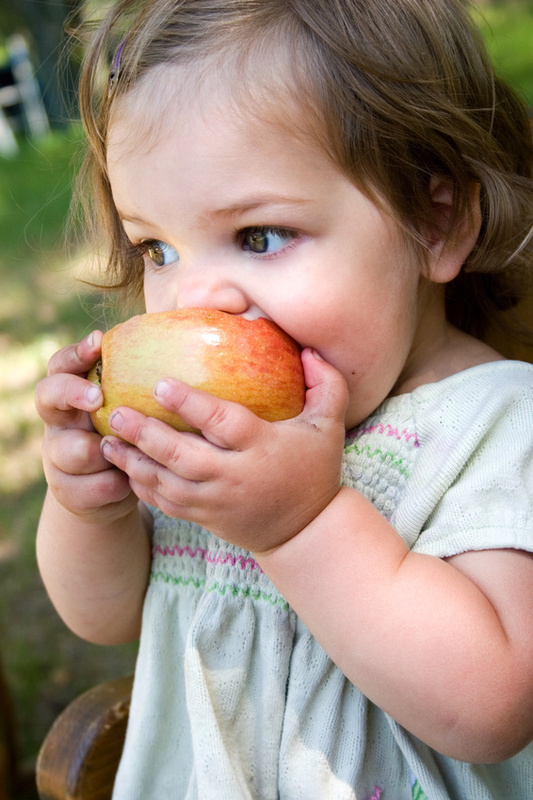 Let’s face it-our children can be picky eaters. To make breakfast more fun for your picky preschooler, try these quick and easy breakfast ideas before you head out the door to daycare! Grab-n-Go: A piece of fruit, tub of yogurt, fruit and granola or cereal in a cup! Leftovers: Who says they’re just for dinner? Favorite Sandwich: PB&J, Grilled Cheese, etc. Fresh Fruit Sandwich: Try using strawberries! “Country Cottage Cheese: Mix cottage cheese with apple butter. Yum! “Egg Burrito”: Tortilla, scrambled eggs and shredded cheese. Roll up and enjoy! “Banana Dog”: Hot Dog bun (whole-grain to make it healthier), a banana, pb and raisins. Primary Beginnings Child Development Centers in Raleigh encourage you and your child to start the day off right by having a nutritious breakfast. Each of our Raleigh preschool locations serve healthy snacks to your infant, toddler, pre-k children to continue healthy eating habits throughout the day.